Remember these? 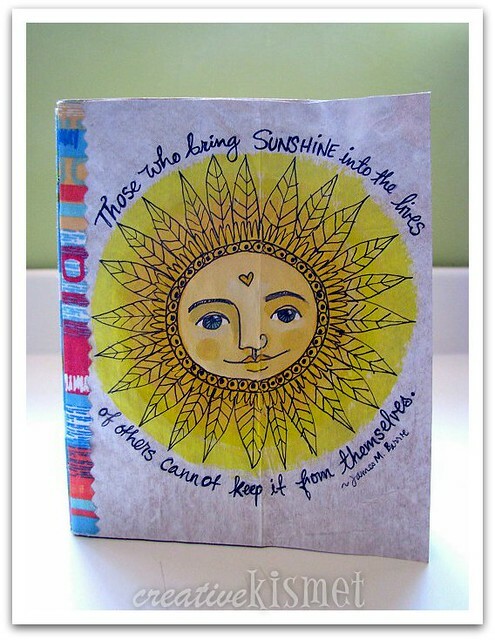 Art journals made from paper grocery bags? These are kind of the same thing, but jazzed up a bit. I gessoed all the paper before binding with the coptic stitch. Oh, and I added strips of scrap fabric to the folded edge to make the binding stronger. I love how cheerful they are and the paper is nice and ready for more paint. And although the paper is a bit rough, I think it adds a nice affect to whatever is painted. I made 4 total and I am keeping 2 for myself and giving 2 away as gifts for 2 very special friends. This entry was posted in Art, Recycle,Reduce,Reuse. Bookmark the permalink. Love the new journals! And just happen to have a handy dandy shopping bag sitting on my dining room table… Consider me inspired!! Thanks for your response to the techniques used for the cactus painting. 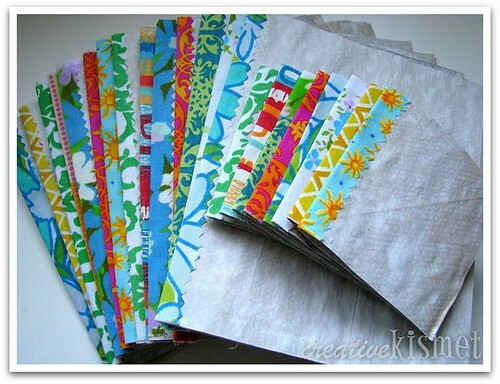 Please think of doing a short tutorial on making these paper bag journals. these are lovely! 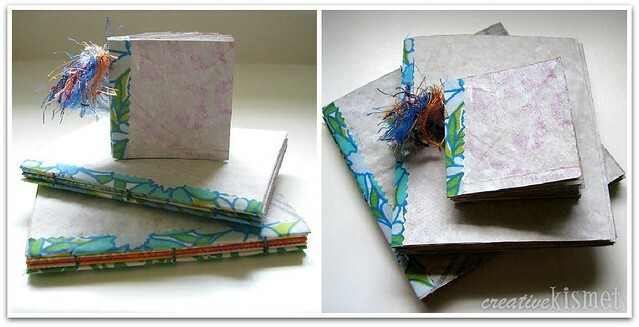 we’ve made books before, but i love the light colored paper and contrast of colors! Oooh! These are fabulous. Your special friends are very lucky! Thank you for all the inspiration. I’ve been following your blog for a short while and I really enjoy it.